"I guess it's important to just try and explain that with everything we do, we always have a certain level of detail to everything and this one is no exception. "It's theatrical, it's going to be dramatic but also very high concept, as I guess everything [with this band] is! And if you're attending the tour, the more you pay attention to the internet over the next few months, the more rewarding it'll be. "On the last tour, we had this idea that if we ever got to do bigger rooms this is what we try and do, so we basically spent all the money we got for the tour on this ridiculous production! So yeah it's very exciting for us and without giving too much away it's going to be something worth seeing." "My girlfriend tells me I've got like tunnel vision so I'll be intensely into one thing for like a month and I'll learn everything about it and then I'll just ditch that and move onto something else and be intense about that. So I've always struggled to be well-rounded I think, I'm transfixed on one thing at a time! It's very difficult to stay fixed on one spot... into one genre of music. "That's never appealed to me, like just being into punk rock... I never understand people who can do that really, because I always feel like if you're interested in art, you'd want to see the whole spectrum of colours, and it's the same with music. So I've always had that natural need to progress. 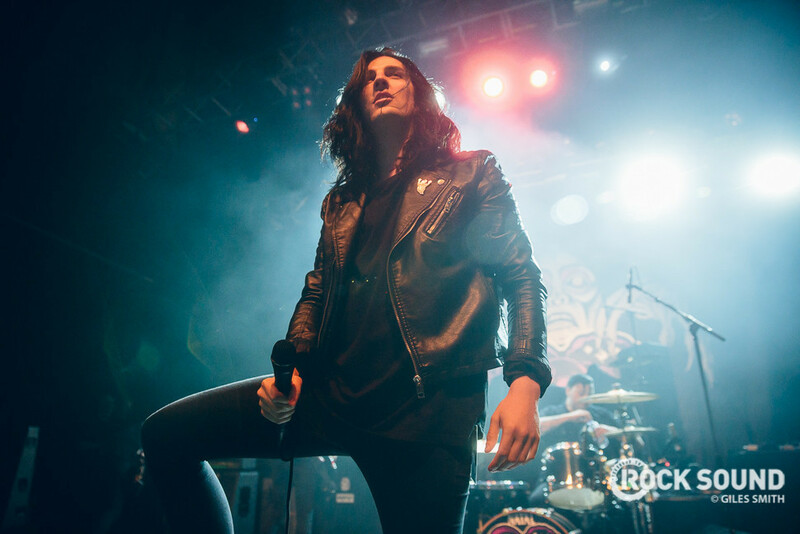 "The problem with Creeper is that it's such an unusual project... If we do another record, it'll be a complete nightmare again! But I think it would sound nothing like the one we just made. Knowing my temperament over the years I think I would find it very difficult to write anything similar to what we've done already. "You have to - every now and again - take a chance on something and you've got to be really confident with that reinvention all the time. If you don't make bold steps and you're not making something challenging and new, I kinda wonder what your value in music is anyway right?" Listen to the full interview with Will below or subscribe here!